Our sponsor and friends at @Avalara took over our chat, with special guest Seth David, @nerdenterprises, manning the takeover. Seth is an expert in training bookkeepers and small business owners in QuickBooks, MS Excel, accounting, cash flow management, and other productivity based software and technology. 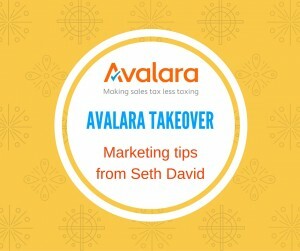 We’ll highlight answers to the questions and Marketing Tips from Seth David throughout the recap. Q1: How would you rate your marketing? Accountants and Bookkeepers are great with numbers, but when it comes to marketing and branding. If you think you can improve your marketing (and most of us can) then we should start by going back to the basics. One way to market yourself is to specialize! For example, if you wanted to find people who need help with sales tax? So get familiar with Avalara, and offer services in helping people clean up sales tax messes. Then keep them cleaned up. The basics of branding… Who are you? What do you do? Whom do you do it for? (to narrow skills to a specialty) Write out bullets points, describing what you love to do most, and whom you love to work with most! Write out bullet points on each of those three questions. And don’t make it about who you work with now. Make it about who you want to work with. @PolymathLLC: We must be doing OK with our marketing. We have more potential clients contacting us than we can take on! Q2: How many leads are you getting from people landing on your website? Your website should be more than just a place for people to learn about your services. You can specialize in inventory with QBO, and you’d have quite the market to tap into! If you can’t describe your brand, then it’s time to get to work on building your brand. How do people identify with you? What is your CTA (Call To Action)? Is that clearly stated on your site? If you want people to sign up for (eg) Bookkeeping services, then there needs to be a CTA aimed at that. That’s every video I ever produced, in the first 30 seconds has said, “Call me right now at (866) 945-8080 for information about private training. What do you want people to do when they’ve just watched, or read your content? That CTA needs to be EVERYWHERE! And by everywhere….I mean EVERYWHERE! @accountingpeace: Tax leads mainly. 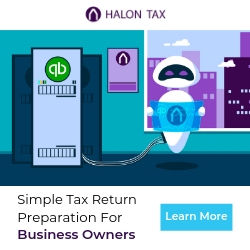 Which I refer out to another local CPA. I’m a bookkeeper/small business guru. @PolymathLLC: Most of the leads we get on our website are a better fit for our classes than for regular bookkeeping work. Q3: Are you happy with your website, or could it use some improvement? And are you able to make changes to your website at will? If you aren’t making regular changes (like adding blog posts) you won’t rank as well on Google. What do we want prospects to do (or where to go) once they’ve viewed our content? I never focus on too specific of a geographic region. You never know where it will come from. For some reason I get a lot of leads in Texas. I never targeted them specifically. I look for ways that I can offer helpful content. Then I put it out there, and I get people who are looking for help on those topics. I don’t care where they are, I only care that they need my help, and I can offer it. Create a noticeable difference – THAT is good branding! Your brand is your personality. It’s how people identify with you, and most importantly, it’s how they remember you. How do you think others would describe you to someone else? Branding is one of the most important things you can do to mold your business – and it’s more than just a logo. Your brand is what defines you, and it needs to be consistent across all marketing channels, including your website and social media. When people call or e-mail, how to they say they found you? Describe your brand / personality. So here’s the thing…We have to define our brand. I am actually in the process of developing something around helping you build your websites. You cannot sit around and rely on / wait for someone else to do it. Especially when something is timely. So I would rather teach YOU how to do it, and help you along the way. As you develop your brand, you will also want to develop your Value Proposition. Answer this question on a piece of paper, or in Evernote – 6 months after working with you, how will your clients lives change? Q5: What’s your favorite marketing takeaway or tip? @expensify: Tips revolving around websites! Thanks to @Avalara and @nerdenterprises for taking over this very informative chat! 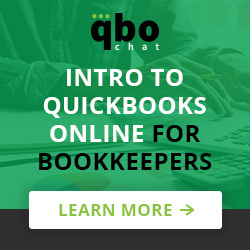 Remember to sign-up for our newsletter to get the most up-to-date news on #QuickBooks and #QBOchat.